Asah Hill is a cliff on the edge of the beach to see the blue sea. 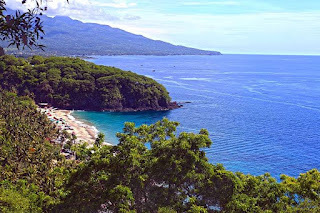 Located in Karangasem Bali, which usually local people call it "Bukit Asah"
The view, which is so indulgent in the eyes and exudes calm, is eager to camp and spend the night here, it might happen that only a tent is needed to cover the head if the night wind is too cold. Not only the blue sea view, we can also see the boundaries of the sky and earth at the top of the sharpening hill, the beauty of the beach and cliffs seen from above makes the feeling of wanting to buy a DSLR camera / gopro, the breeze makes me want to sleep asleep until daybreak. You will never regret it! 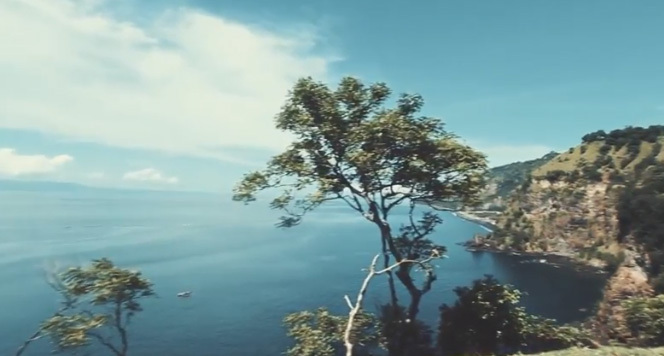 Asah Hill, one of hills of Bali;s Instagramable can be one of the favorite places in Bali to invite couples or just stop by seeing people invite their partners. Asah Hill Tourism in Manggis Karangasem Bali has so exotic, beautiful and amazing scenery. How not there is so beautiful, so natural, lonely, quiet, far from urban riuh-rauh. Because indeed people who visit here are city people who (maybe) are tired of the monotonous urban atmosphere. There you can see the vast scenery while drinking coffee, lying on the green grass while enjoying the vast view of the sea of ​​Bali like no end. For those of you who like tents, first you can do a camp on the hill on Asah Hill. Wow, imagine how the thrill of camping on the cliff below is the expanse of the high seas.